Getting older isn’t for the weak—literally. The passing of time takes a toll on your body, impacting everything from the quality of your skin to the strength of your muscles. While Dr. Garazo can help with aesthetic concerns, when it comes to your overall health, you may want to consider strength-building: many studies have proven getting stronger helps people stay healthy as they age. While you may need to adjust how you approach physical training in your 50s and beyond, most people can incorporate muscle-building activities into their routine. Here are a some great ideas from Outside Magazine on how to get stronger after 50. Being safe and paying attention to your body when you train is always important—but when you’re older, it can help prevent a small injury from turning into something that keeps you laid up for weeks. First off, be sure the classes or instructors you choose understand the needs of people who are 50+; a class full of 20 to 30 year olds led by a young, inexperienced instructor might include actions that are risky for older bodies. Also consider the pace of the class: if things are moving very quickly, you might not have time to ask important questions or listen to your body. 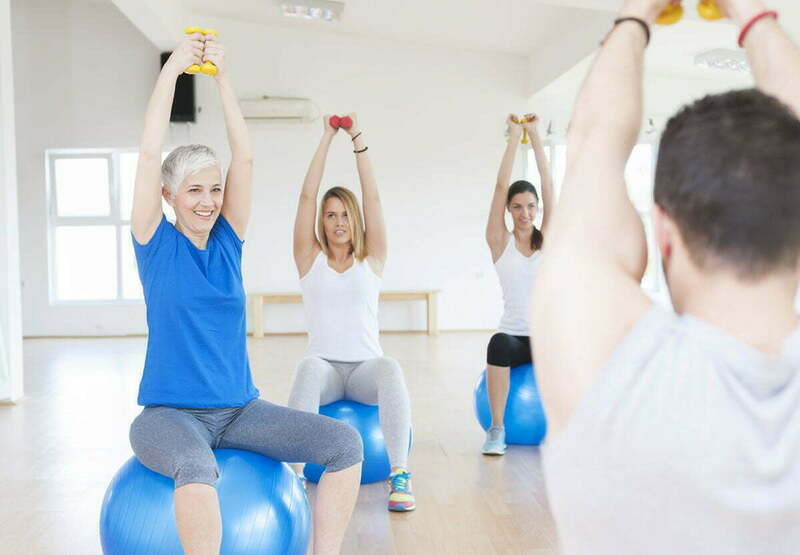 If you’re unsure where to start, call a local gym or fitness center and ask which classes or instructors are recommended for people your age hoping to safely increase strength. Note that some of the best strength-building classes and programs don’t use traditional weights, but instead rely on body weight. In other words, don’t be surprised if something along the lines of a yoga class is recommended. Before you start tackling intense strength training, it’s important to focus your energy on having a good, consistent, and frequent exercise foundation. You need to ensure your body is physically prepared for additional training, and the best way to do that is to spend some time every day gradually working toward your goals. Not only does this help your body learn to tolerate more work so you can get stronger, it also helps you recover more quickly and avoid injuring yourself by doing too much too soon. It’s common for those over a certain age to focus their exercise on cardio, but weight training is equally important. To make sure you’re getting the most out of your workout, develop a routine that also includes weight lifting and compound exercises. We like to add something that keeps joints limber and your body flexible, such as yoga. The nature of a healthy workout doesn’t vary much based on your age. But if you’re in your 50s or older, you likely just need to be a little more thoughtful about training and planning for recovery time between workouts. Regardless of these differences, establishing a training routine and following it is one of the best ways to stay healthy as you get older. Read the full article to get more details on how to train after 50 from the experts.